Westminster Abbey has existed since the 11th century and is therefore one of the most well-known London landmarks. 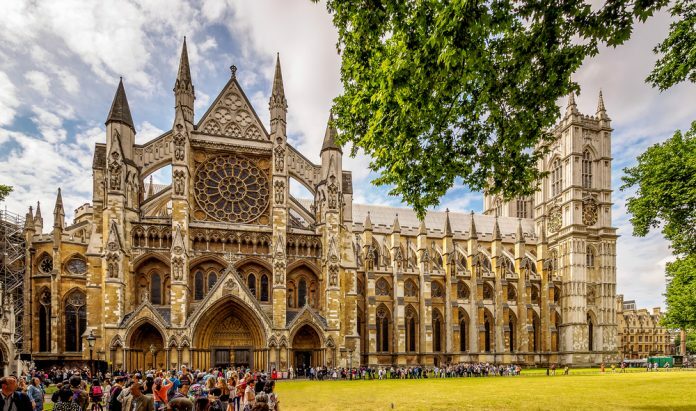 Having survived many years of bombings, coronations and royal weddings, this abbey has the tombs of many of England’s most influential rulers as well as being a UNESCO World Heritage site. 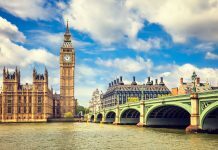 For guests at Hotels near Hyde Park, this hot tourist spot is a must see during your time in London. So what is there to see at Westminster Abbey? And why such a buzz around it? We’ll give you a low down of some of the must-knows and the must-sees at this historic venue. The original 11th century abbey was partially knocked down by Henry III in the 13th century but was rebuilt to an even more magnificent scale by Henry, dedicating it to Edward the Confessor. Henry III used the influences of the Anglo-French Gothic to rebuild this church and created a design based on the continental system of geometrical proportion. The single aisles and long nave were created to make the roof seem higher, the highest Gothic vault in England at just under 102 feet. The Englishness is also apparent in the elaborate mouldings of the main arches, the lavish use of polished Purbeck marble for the columns and the overall sculptural decoration. There is plenty of art to see in Westminster Abbey, centuries of it in fact. One notable feature are the wall paintings which date back to the 13th century. These include the figure of St Faith as well as the drawings of Jesus with St Thomas and St Christopher at the Southern end of the abbey. There are also extensive workings depicting the apocalypse and the last judgement, a series of drawings that date back to the 14th century. Other notable art works include the oil paintings that decorate the space. These include a beautiful portrait of Richard II whilst a Cosmati Pavement decorates the floor of the Abbey. This complex piece of workmanship was created in 1268 by Henry III. The Altar piece is also of interest due to it being the oldest in England, the panel painting dating back to the 13th century. This is not currently on show but will be brought out for the next Jubilee in 2018. The organ was installed by Harrison and Harrison for the coronation of King George VI. The organ is made of 4 manuals and 84 tops and used some of the design and materials of the last organ which was built in 1848 by William Hill. The Coronation Chair is also of note, having dated all the way back to 1296 and was used to enclose the Stone of Scone which he had brought back from his travels to Scotland. Due to how historic the Abbey is, there have been many people buried over the last 8 centuries. Some of these people have family tombs in the abbey whilst others are merely commemorated in the abbey. These include British Actor Laurence Olivier, Writer Noel Coward, Politician Clement Atlee and Harold Wilson. Geoffrey Chaucer has his own tomb within the abbey as does Margaret Beaufort, Countess of Richmond among many other historic figures. Westminster Abbey is the go to venue for royal events, watched from up and down the country. This has been the case since the Abbey opened and all but Scottish Kings and Queens have been crowned at the abbey itself. The last coronation to take place was that of Elizabeth II who is still reigning and was crowned on the 6th of February 1952. There have also been several weddings held at Westminster Abbey.